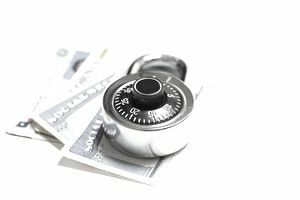 Is It Safe to Give Your Social Security Number to Sweepstakes Sponsors? Are You Risking ID Theft by Putting Your SS# on an Affidavit? So you've won a giveaway; you're reading through the paperwork you have to return, and everything looks fine. Until, that is, you come to a section that asks for your social security number. Is it okay to give your social security number to sweepstakes sponsors? Or are you a target of a sweepstakes scam? As you already know, your social security number is not something to be shared lightly. In the wrong hands, it can lead to identity theft, credit damage, and other problems. The social security administration recommends that you don't carry your social security card in your wallet or purse and that you don't give it out unnecessarily. So does that mean that you should toss out that prize notification or argue with the sponsor? No. Sweepstakes sponsors have a legitimate reason for asking for your social security number. The request does not mean that you are being scammed. There's one driving reason why sweepstakes sponsors need your social security number: taxes. Sweepstakes sponsors are required to report who won their prizes to the IRS if the value of the prize is $600 or more. In order to be sure that the win is attributed to the right person, the sponsor needs to include your social security number on the forms that they send to the IRS. That means that in order to ensure that taxes are assigned fairly, they ask their potential winners for their social security number. In fact, if you've won a prize worth $600 or more and you are _not_ asked for a social security number, you need to be careful that you aren't being scammed. In most cases, your only options are to return the affidavit or decline the prize. But what if your prize is worth less than $600? Does that mean that you won't need to return an affidavit or provide your social? Unfortunately, no. While sponsors are required to report prizes worth $600 or more, they are able to report prizes of any value. And for tax purposes, they often do. Sweepers have had to return notarized affidavits with social security numbers for promotional t-shirts and $10 gift cards. As a reminder, winners are required to report all of their prizes on their own sweepstakes taxes. The prizes you report should match or exceed those reported by the sponsors. So you can accept that you'll need to provide your social security number when you win prizes, but that doesn't mean that you should throw caution to the wind. There are still steps you should take to protect yourself when you enter. 1. Make sure you are entering legitimate giveaways. Take steps to research the sweepstakes you enter to be sure they're on the up-and-up. 2. Provide your social security number only when you win. You should not have to give out this information when you enter. 3. Research your prize wins before you respond. Make sure that you are being contacted by the company sponsoring the giveaway or by a sweepstakes administrator, not by a scammer. 4. Make sure that you are using a secure method to transmit your social security number. Postal mail should be fine, but a simple email could put your information at risk. By making sure that you take steps to ensure that your social security number is protected, you can claim your legitimate prize wins while still protecting yourself from identity theft and other crime. Nervous about Using Your Real Birth Date to Enter Sweepstakes? Have You Fallen for Any of These Common Sweepstakes Myths? What Does AMOE Mean, Anyway? So You're a Potential Winner. Is It Time to Celebrate? Do You Need to Pay Taxes on Sweepstakes Prizes Less Than $600?